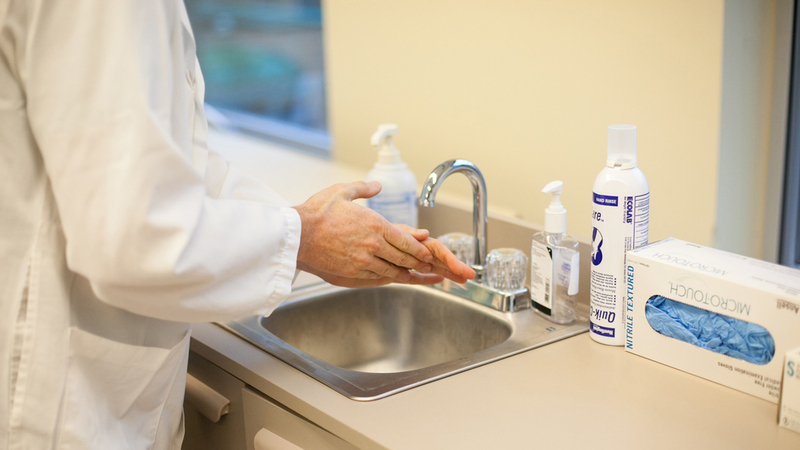 It’s well known that hand hygiene is the best way to prevent hospital acquired infections, yet rates of compliance with best practices remain below 40%. Instead of focusing on education or auditing campaigns, or further developing and clarifying best practice guidelines, this project sought to identify barriers and enablers of hand hygiene in order to make environments and processes more supportive of hand hygiene activities. This human factors approach aimed to optimize environments and processes that are natural and easy to use by matching them to human cognitive and physical strengths and making allowances for human limitations. A literature review was first conducted to understand initiatives that focused on hand hygiene environment and process design. Heuristic evaluations assessed hand hygiene products that were used in various clinical areas. The results identified violations such as inconsistent placement and poor visibility of hand sanitizers versus hand soap. Diverse healthcare workers were shadowed in a variety of environments to identify additional barriers, such as a sink hidden in the back of a patient room. Focus groups with healthcare workers were conducted to brainstorm and prioritize solutions to identified barriers. The existing clinical environments were modified with these solutions, and the impact was evaluated through surveys and observation for validation. Findings from this work have been formulated into a toolkit for healthcare workers to optimize and customize their environments and processes to better support hand hygiene activities. Toolkits are available from the Canadian Patient Safety Institute. Learn more about this project in Healthcare Quarterly.